We came across these chips in the sale aisle at Stop & Shop the week before Thanksgiving. Because we were going to be serving a platter with vegetables and dip, Mom thought it would be a good idea to put some pita chips on the plate in case anyone wanted something different. On Thanksgiving day, for a pre-turkey and stuffing snack, my sister and I started in on the dip, veggies, and the yummy-looking chips. 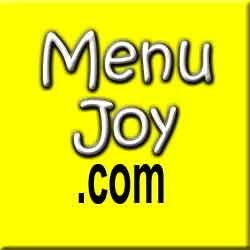 THE VERDICT: Wonderful! These thick, baked chips really held up well against the heavy onion dip. Mom bought the Parmesan garlic and herb flavor, and the taste of the chip only enhanced the other items on the platter. 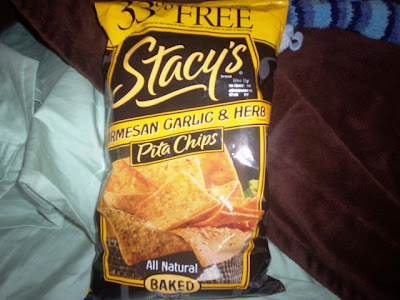 Stacy's chips are all natural and are just as great on their own as they were with the dip. We bought them again a second time the week after Thanksgiving, and we will probably keep buying them whenever we want a crunchy, flavorful snack.